Lyrics to 'I'm A Korean' by Rucka Rucka Ali. ... I'm a korean and i like my chinese food cooked right, ... Featured Video. 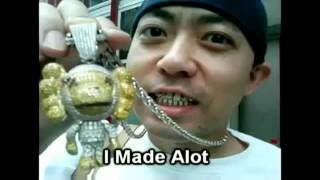 Black Eyed Peas I Gotta Feeling PARODY I'm a Korean ~ Rucka Rucka Ali HQ. Share video ... its funny becauseï»¿ this is pretty accurate history wise. Watch I Gotta Feeling PARODY Ima Korean ~ Rucka Rucka Ali now. ... Funny Pictures; ... Share this Video. Rucka Rucka Ali. 114 likes. yea ... Ok kids, I'm sure you don't need me to tell you this but, CRACK IS BAD FOR YOU. by ItsJokeRzz - why So SERIOUS!